We all want early adopters advantage. The thought of being first to capitalize on a newly popular social network before your competitors causes many brands (especially small ones) to try each new one to come along. If it hits, they stand to be out in front of the rest and see first-starter advantage. The problem, this almost never happens. The truth is, most new social networks never catch on. We could make an endless list of social networks some believed would be the next Facebook or Twitter. 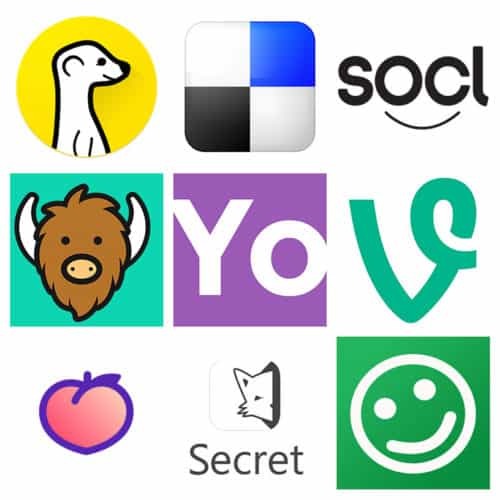 Startups like This., Yo, Vero, Meerkat, Yik Yak, Peach, Secret, and so many more. While most of us waited to see if they’d become something, some invested time and resources in trying to build their brand name on such sites. What do they have to show for it now? In investing one place, you generally have to invest less elsewhere. Most businesses have limited budgets and staff to put efforts into their social media marketing. By playing in a new social network, they have to put less into tried and true social networks like Facebook, Twitter, Instagram, and LinkedIn, where they may have realized a far better return on their investment. Many invest in new networks for fear of being being left behind, should it become the next big thing but even this is rarely true. Sure, a couple competitors may have a small step up on you, but most make up ground fast. Nike didn’t come to Twitter until 2011, a couple years after the site had become popular around 2008, and yet, I’m sure most would agree that they’re doing just fine. It’s pretty easy to make up for lost time. As long as you’re aware of what’s happening in the industry, brands can be quick to jump on a social network as it hits critical mass and really takes off, while avoiding investing needlessly in the majority that go nowhere. Don’t neglect the newcomers, but don’t feel the need to participate until they’ve shown themselves to be a viable place to invest in reaching your potential or current audience. Having said all this, exploring new opportunities should still be part of your marketing activities, but be smart about it. Don’t jump onboard just because you see or hear someone say XY is the next big thing. Be considerate about which social networks you choose to check the potential of. Do they align with your client base? Does their medium work well with your offering or is it hard to find the similar meeting points? A social network for teenagers sharing funny videos isn’t likely to align with a B2B trucking company and yet, some would try to make it work, even before the network has really taken off. Pick your investments wisely. You’ll also want to consider the work involved in creating content for this new network. If you can repurpose what you’re already posting on other social sites to this new test-water without must effort, great. If it takes a significant investment of time and resources, it may be wiser to invest in a social network you know drives great results, at least until this new one becomes more proven and populated. Some folks are always chasing the next new thing but rarely does it turn out to be as big as they hoped. Before jumping in to what some swear will be the next social media mega-star, don’t be afraid to step back and see if it actually happens. There’s little risk of being a bit late to the scene and far more risk from jumping in too early. When you come across a new social network, feel free to take it for a quick test-drive. Signup for an account and reserve your usernames incase you need them in the future. See if the features offer something you’d love to see elsewhere. But don’t feel the need to make a significant investment in each new hot thing every time. It’s just fine to wait. Should it become a hit, it’ll be around long enough for you to take great advantage of in the future.